This month I received some wonderful news. I have become a Hasselblad Master! During the next two years, there will be events, publications and exhibitions revolving around the work of the Hasselblad Masters. Next meeting at the Photokina 2014, Köln, where the awards will be given and the book containing the work of the Masters will be officially launched. See you there maybe? It seems that this year my work really made a long way in the renown photography contest "Px3 Prix de Photographie de Paris" 2013. I am totally thrilled to announce that my work got two steps of the podium in the Nature category. My portfolio "Floating Rocks" became the overall winner, while my portfolio "Green Seas" got the third prize. I also obtained Honorable mentions with my portfolios "Dwellers of the Cold" and "Watercolours". The winning images of this year Px3 edition, among which an original of the portfolio "Floating Rocks", will be exhibited in the Espace Dupon gallery, in Paris, from next 10th July. The "Prix de la Photographie Paris" (Px3), generally described as Europe's biggest and most prestigious photography competition, strives to promote the appreciation of photography, to discover emerging talent, and introduce photographers from around the world to the artistic community of Paris. Winning photographs from this competition are exhibited in a high-profile gallery in Paris and published in the high-quality, full-color Px3 Annual Book. You will be able to find more information about this contest here. 12 of my photographs have been awarded in the last IPA International Photography Awards. In total, I obtained 2 First Prize awards, 2 Second Prize awards, 1 Third Prize award and 7 Highly Commended photographs, placing me among the most awarded photographers in this year's competition. Two of my photographs have just been awarded in the last Px3 People's choice awards. After 22'585 votes of the general public, the photograph "Burning Peak" has obtained a Gold Medal, and the Portfolio "Icelandic Waters" has obtained a Silver Medal in the Nature category. 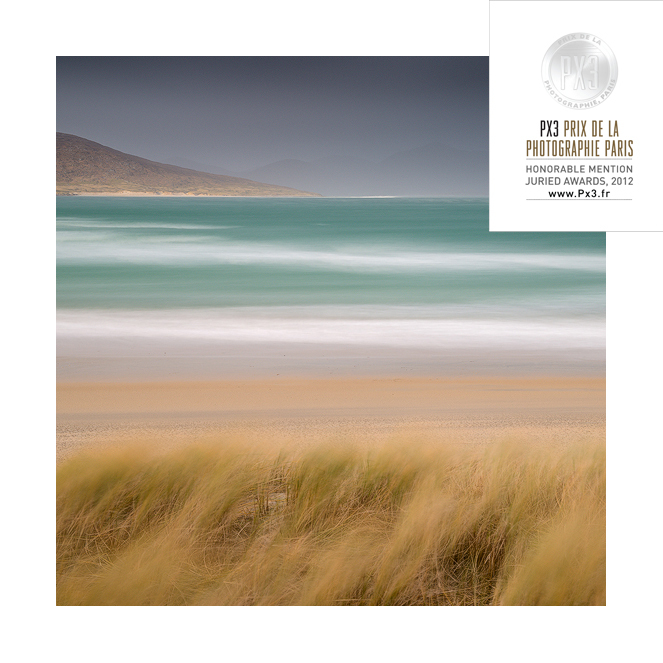 Px3 People's Choice Awards are managed by the "Prix de Photographie de Paris" and allow the general public to vote for the best photographs submitted to this renowned contest. The "prix de la photographie, Paris" (px3) strives to promote the appreciation of photography, to discover emerging talent, and to introduce photographers from around the world to the artistic community of Paris. Winning photographs from this competition are displayed in a high profile gallery in Paris and published in the high-quality full color px3 annual book. Therefore, another of my photographs, "Burning Peak", has been awarded an Honorable Mention. The "Prix de la Photographie Paris" (Px3) strives to promote the appreciation of photography, to discover emerging talent and introduce photographers from around the world to the artistic community of Paris. Winning photographs from this competition are exhibited in a high-profile gallery in Paris and published in the high-quality, full-color Px3 Annual Book. This year, the jury selected PX3 2012’s winners from thousands of photography entries from over 85 countries.